Now as a former math teacher I love seeing books about mathematicians in different cultures and especially about female ones. I think it is so important for kids to see that all sorts of people can do and have been successful in math besides just the white European men that so much of our math and its theorems are named after. Today's book is about Ada Byron Lovelace. 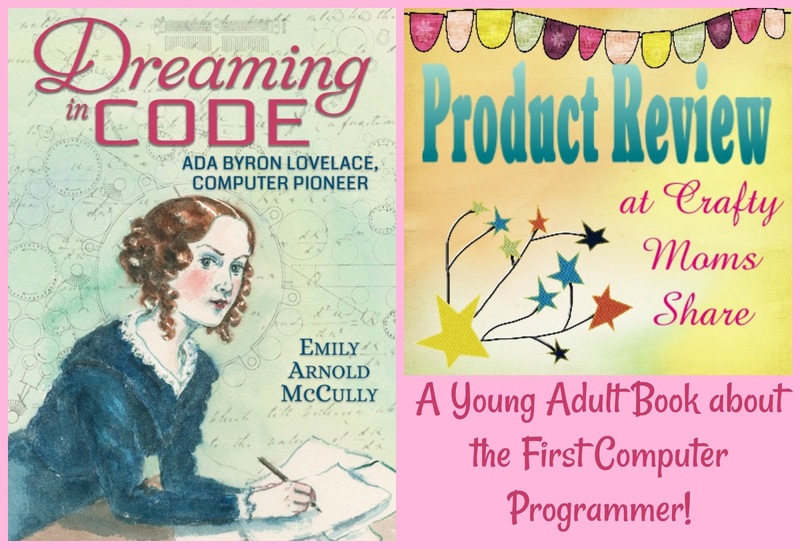 I have had the pleasure of sharing with you several books about Ada Byron Lovelace, but this is the first one that is geared toward the older kid. It is recommended for grade seven and above. 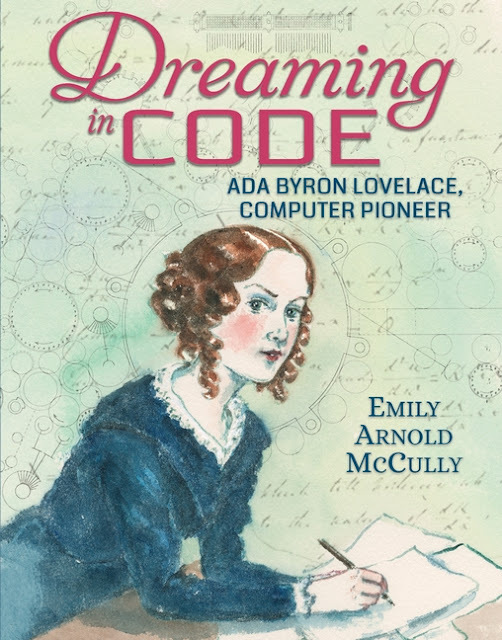 The book is Dreaming in Code: Ada Byron Lovelace, Computer Pioneer by Emily Arnold McCully. This book is very comprehensive. It tells so many details of Ada's life including many I didn't know. 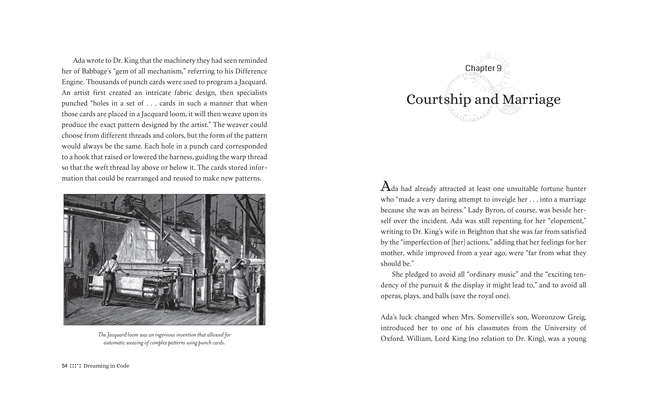 It shares personal events and ideas and thoughts that were shared in letters. It follows Ada through her life from birth to death and shares how she became interested in mathematics as well as how her published paper came to be. It even shares where what is thought to be the first computer program can be found. I love how this book shares so many details about Ada's life. It betrays her to have had a hard life and to have always been seeking her mother's approval. It shares how she did not know about her own father and also the mistakes and downfalls she had. As I read this book I imagined how much further her work would have gone had she not lived in the Victorian time period. A time when women were not given access to all the knowledge and information--she had to beg to be admitted to a university library and never was--and a time when medicine actually harmed her more than helped her. This book was interesting. The story of Ada's life is interesting but how Emily Arnold McCully writes and shares the details draws the reader in. I didn't want to put it down and I had already read and learned about Ada previously. I love giving our middle school and young adult females a realistic role model who fought health issues as well as society to pursue a career in what she wanted. And I love that the book is a fun read and not one you feel like will never end. It is well written and very well researched. I love that the sources are shared throughout the book--"in a letter..." This is a great biography for anyone to read and learn about the first computer programmer who programmed without actually having the machine. Her work was a predecessor for the computer programming of the 20th century. I hope you will check it out! !